Overcrowding and unsanitary conditions experienced by Allied POWs interned at Selarang Barracks. Allied POWs were forced to endure these conditions for five days until they signed a no-escape document, in an event that later became known as the Selarang Barracks incident. 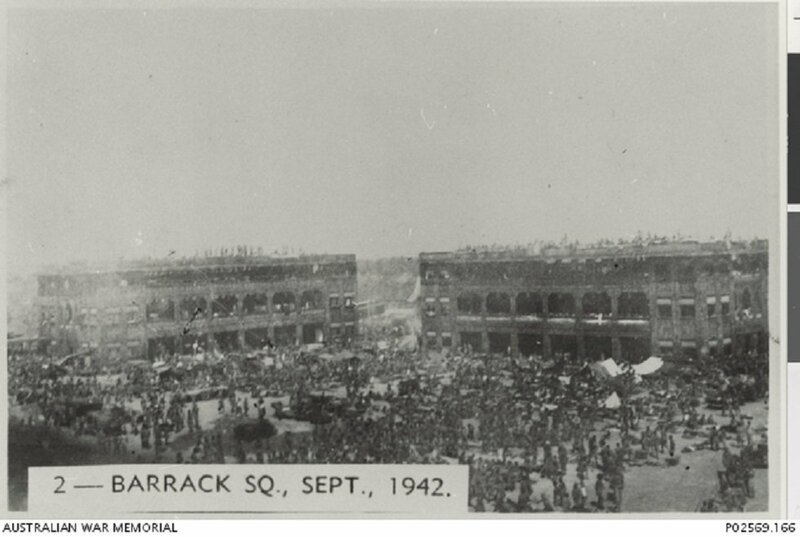 Image taken between 1-5 September 1942, courtesy of George Aspinall, Australian War Memorial. 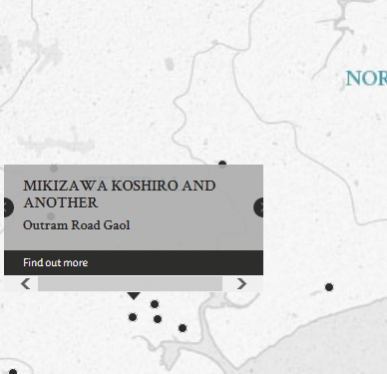 Koshiro Mikizawa, the first accused, was the Governor of the civil section of the Outram Road Prison. Takeshi Noda, the second accused, was the Administrative Officer of the same and was briefly second-in-command to Mikizawa. The accused were charged with being parties to the ill-treatment and neglect of prisoners, causing the death of about 1,000 prisoners and physical suffering to others. Inadequate food and medical attention were provided. There was overcrowding in the cells with inadequate blankets, bed-boards and sanitation. Prisoners were also sent out on fatigue duties without proper clothing or footwear. Warders subjected the prisoners to physical abuse, which the accused sometimes participated in. The disparity in the sentences for the two defendants (life imprisonment for the first, imprisonment of five years for the second) can be accounted for by witnesses' testimonies (from both the prosecution and defence) of good character. Mikizawa, Koshiro. Civilian. Superintendant, Outram Civil Gaol. From Japan. Guilty. Life imprisonment. Sentence confirmed. Noda, Takeshi. Civilian. Inspector, Outram Civil Gaol. From Japan. Guilty. 5 years' imprisonment. Sentence confirmed. Le Gallais, R.L. Lieutenant Colonel. From British military. Court president. Barrister at Law. Sheikh, A.B. Captain. From British Indian Army. Withers Payne, C.H. Lieutenant Colonel. From British military. Barrister at Law. Fujiiwa, Matsuro. Graduate Law, Tokyo Imperial University. Phillips, A. Lieutenant. From British military.